If you'd like to have a go at making this fabulous raised bed in your own garden, here's how to do it cheaply and easily. Find ideas on how to use it in different ways to create a wonderful display. 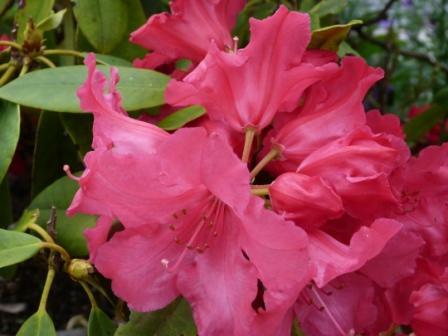 Use it for herbs and vegetables, or for feature, border, rockery and climbing plants. It's a great project for beginners, and can make a real impact in all types of gardens, especially in the smaller garden, where space is limited. There are very few tools required: a tape measure, saw and chisel, with a few lengths of timber. That's it. If you can find some timber to recycle all the better! Make it with or without the 'fins', and with thicker wood. Modifying the plans in this way means that you can achieve exactly the style you are looking for to fit in with other features in your garden. 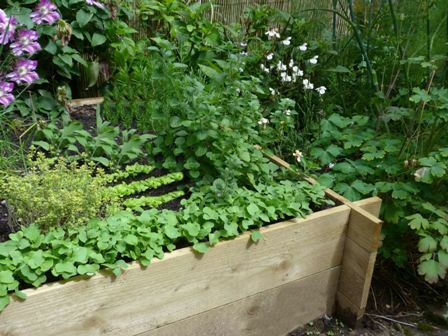 Raised beds have become very popular lately because their versatility makes them so useful in a range of situations, and for many different purposes. They can be placed as a stand-alone feature, or several built using different heights and shapes. For fresh,organic, freely available herbs and vegetables. Creating a border around a patio or seating area. To add height and interest to gardens. In city gardens, where the planting area is restricted. Providing a manageable height for the physically challenged. Where a pergola is situated on a hard surface or lawned area. To frame a door, porch, arch, pergola, arbour or walkway. Built against a wall over which to grow beautiful climbing plants. Grouped in a straight line, for a formal arrangement. Randomly grouped, for a more informal feel. 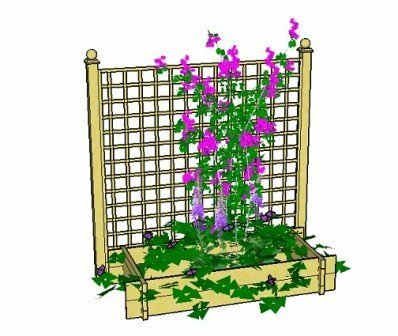 This is a rectangular raised bed placed against a trellis panel and planted with perennial, rockery and climbing plants. 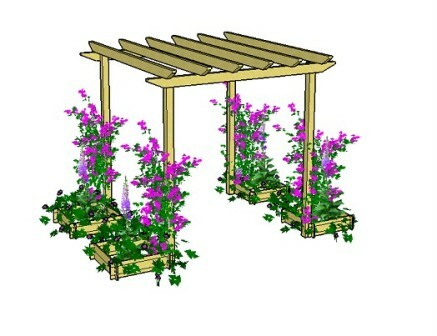 Here we have smaller planters used under the pergola posts. 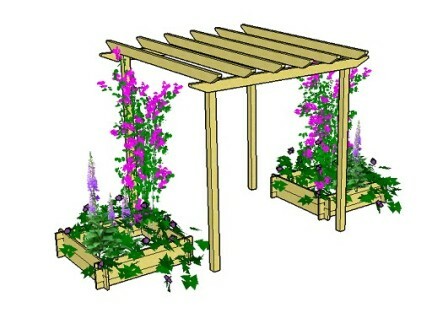 These are great for providing colour and interest if the pergola has no available borders in which to plant. And this is a similar arrangement, only using larger planters to give even more planting opportunities. Planting ideas are given within the plans. Fragrant herbs, near to the kitchen, ready to use. Beautiful climbing plants for fragrance and height. 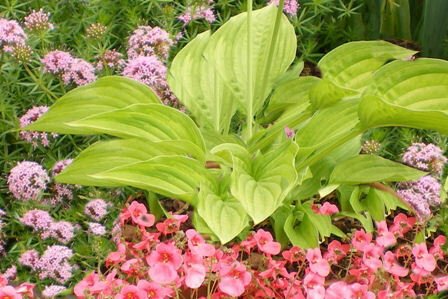 Groundcover plants, on their own, or with other feature plants. A mini-garden, with rockery plants. A wonderful mixture of types, replanting bedding each season to give a different look. Heavenly clematis found in many beautiful varieties. Colourful, cottage garden, border plants. 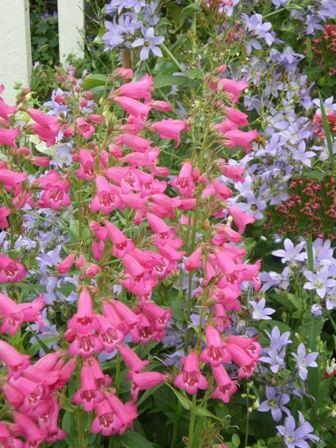 Majestic, evergreen, feature plants for seasonal colour and year-round form. 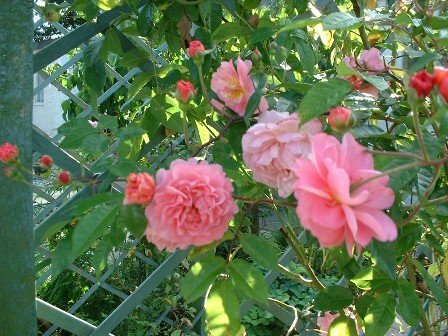 Gorgeous climbing roses for wonderful colour and fragrance. Fresh herbs and vegetables for you favourite recipes. 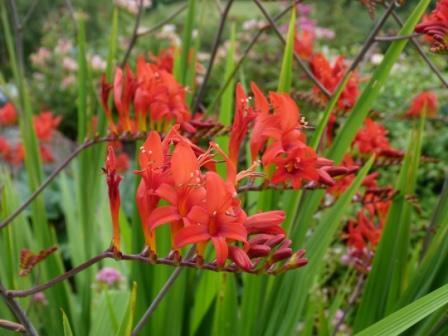 Exotic feature plants with exquisite form and colour. The plans can be very easily adapted to your style and situation. Need your raised bed to be smaller, longer or taller? Would you like to use thicker wood? No problem. It's all explained in the plans. 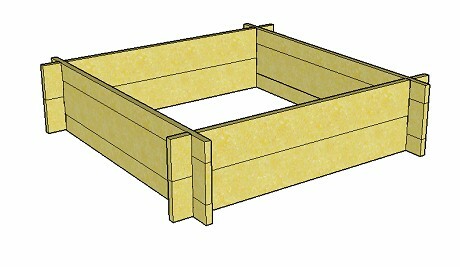 The plans also show how to build the planter with no 'fins' at the corners. This is easy to do, and will just need a few screws. Here is a smaller planter with thicker 2" timber. It has been planted with a the lime green conifer cupressus 'Goldcrest' to give height, the beautiful trailing, rockery, groundcover campanula 'Poscharskyana', and a pretty, pink annual pelargonium. Just change the seasonal, annual bedding to give a different look each time, leaving the other planting to form the structure of the display. Let's get started then. Here are the plans, ready for you to view, or download to your computer. It's easy to do. 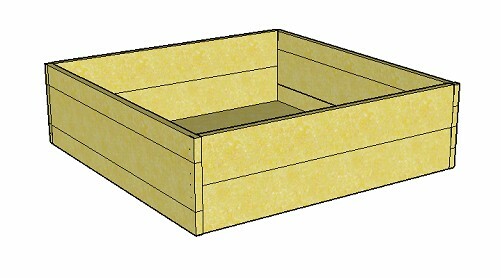 Just fill in your name and email address in the form below and you will be able to download the Raised Bed Plans immediately. "Hello, neat site you got there and very helpful!" I hope you have a great time building your raised bed and then filling it with fabulous plants to create a interesting display! Why not send in a picture when you're finished. I always love to see your wonderful creations.